Ensure stuck on dirt comes off with the Single or Dual Prep Unit to apply before a car is washed through a tunnel. 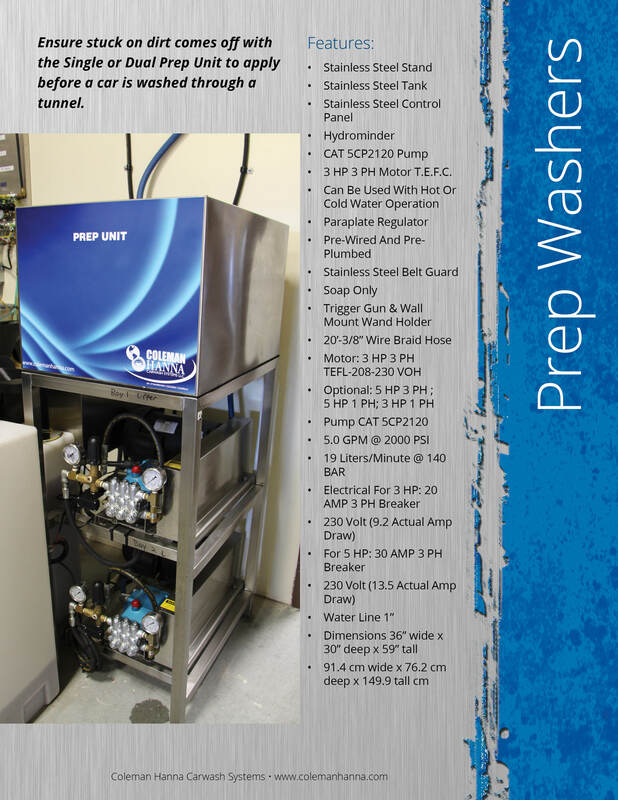 Our single and dual prep wash systems provide a reliable and high quality system to prep vehicles before washing. All stainless steel frame with a 40 gallon stainless tank and lid provides long lasting performance. 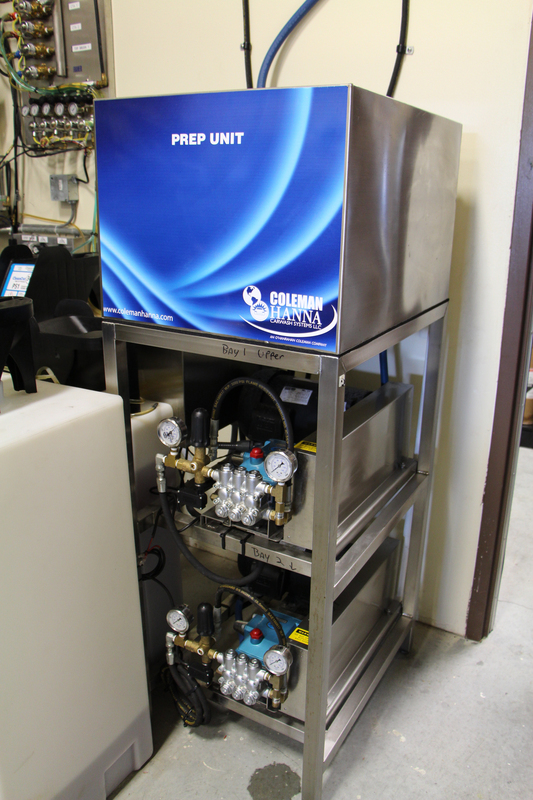 These systems come standard with piston pump, 3 HP motor, control cabinet, and auto shut-off timers. The trigger spray wands have 25 ft hoses to ensure the attendant can reach the vehicle. The difference between the single and dual prep unit is the number of pumps. The dual prep unit has two high quality pumps while the single only has one. Dual prep washes are recommended for larger tunnels. 3 HP 3 PH Motor T.E.F.C.